Cooperatives Europe releases its latest #coops4dev research report with the support of the CEDP. Presenting practical examples, the report looks at cooperatives contributing to the empowerment of minority groups affected by conflict, providing decent work and sustainable development in fragile contexts, as well as supporting mitigation of conflict through partnerships with other actors and the provision of humanitarian support. The report demonstrates that cooperatives can play an important role in peacebuilding worldwide, while also contributing to the UN Sustainable Development Goals (SDGs). By building self-sufficient and resilient communities, and by encouraging dialogue and democratic participation, the cooperative business model is able to bridge the gap between conflict resolution and long term development strategies, addressing persistent structural challenges facing communities. The report also offers a number of conclusions and recommendations addressed to policymakers, cooperative leaders, and external partners. 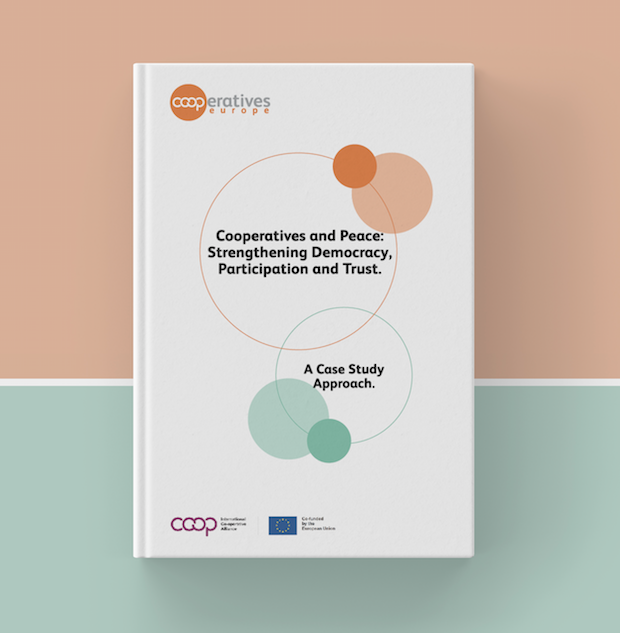 Produced in the framework of the ICA-EU Partnership (#coops4dev), the research was supported by the Cooperatives Europe Development Platform (CEDP), co-authored by the Co-operative College, Kooperationen and Coopermondo, with input from all CEDP members. The report was endorsed by key stakeholders, including high level representatives from the cooperative movement, civil society, local authorities, and the EU. MEP Stelios Kouloglou, the Vice-Chair of the DEVE Committee in the European Parliament, highlighted the value of partnering with cooperatives for peacebuilding, mentioning that: "the role of these partnerships will be of particular relevance for decision-makers, who can look to international cooperative development as an additional strategy for peacebuilding." This article related to the ICA-EU Partnership has been co-funded by the European Union. The contents of this article are the sole responsibility of Cooperatives Europe and can in no way be taken to reflect the views of the European Union.